Boasting an extensive menu, this small Taiwanese bistro restaurant whips up delicious, authentic street-food cuisine for you to enjoy! Located in a row of shop houses along Serangoon area itself, this establishment is a perfect place to catch up with some friends over some simply sensational food. Decked out in a musically-inspired interior, you will see guitars hanging around and even a band-stand, perhaps for a live band to play! So what are you waiting for? 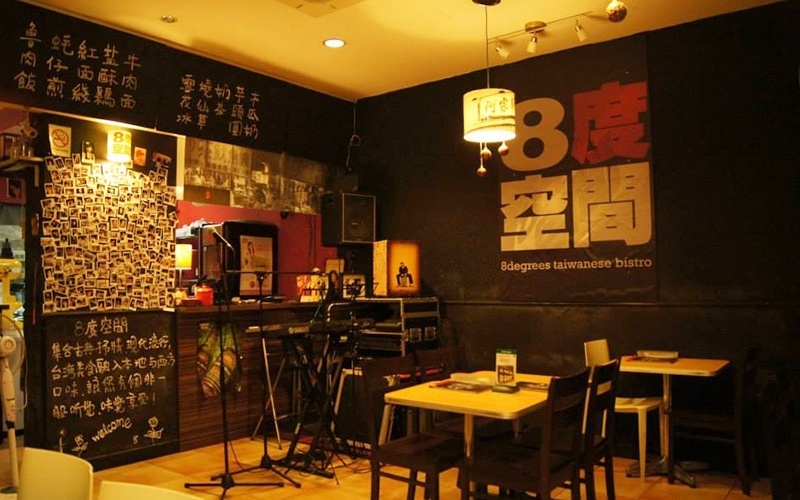 Head down to 8 Degrees, for some tantalizing Taiwanese cuisine!